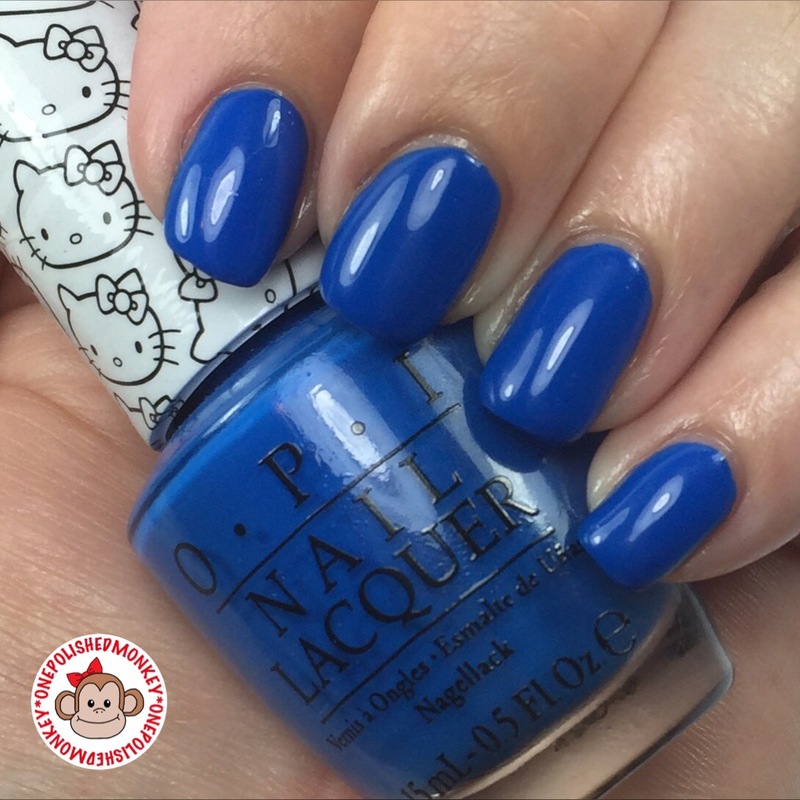 Nothing caught my eye at first glance of the OPI Hello Kitty collection. Sure I like pinks and reds full of shimmer but I already have a drawer full of them. Before I skipped over the entire collection I wanted to check out some live swatches in case there was something I was missing. I’m glad I did. JessFace90 has a video giving her review of the collection as well as a live swatch of every color up close. After watching her video I decided that My Pal Joey was a polish I needed. 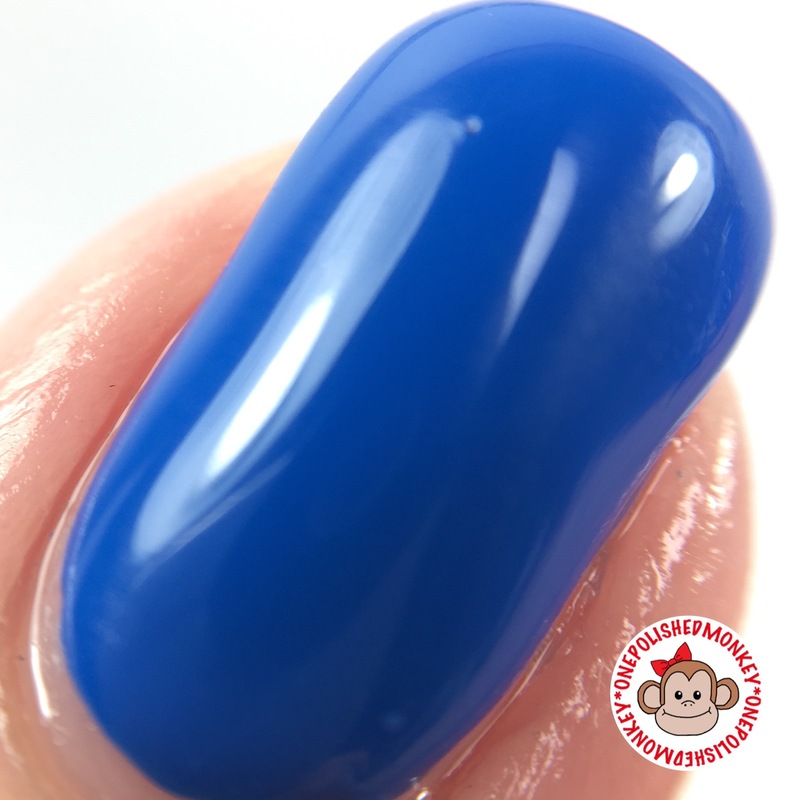 Now you may be thinking this is just a basic blue creme polish. Well your kinda right. 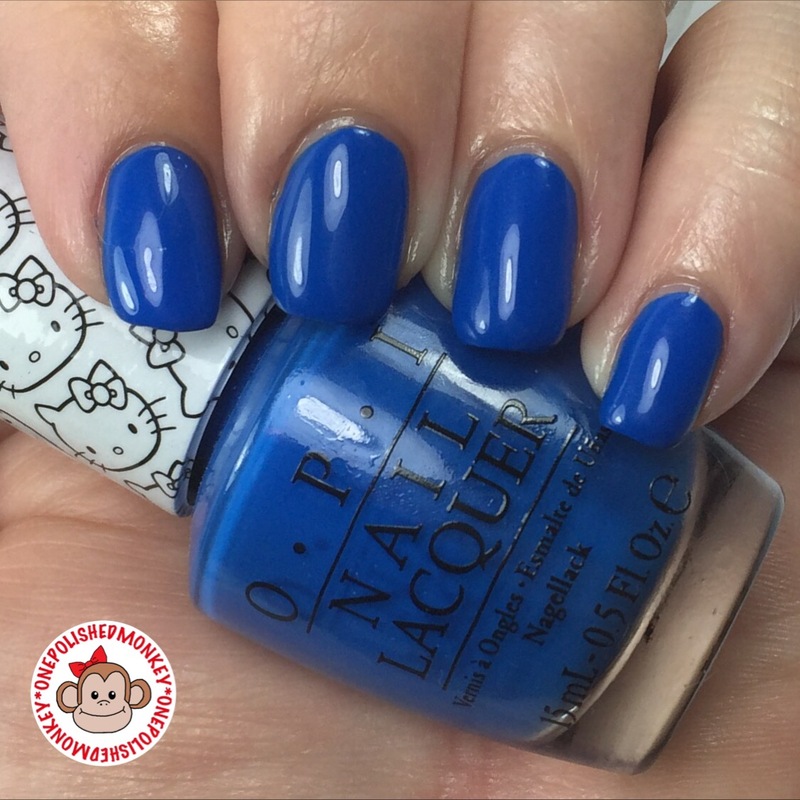 Its the formula that makes it so much more than a basic blue creme polish. No streaking, no bald spots, no pulling. Just perfection. Two coats and its perfect. From someone that is not even close to being able to paint her names without clean up this polish made me feel like one. Clean up around the nail was easy and no mess.I used Glisten & Glow HK Girl for my top coat and went about my day. 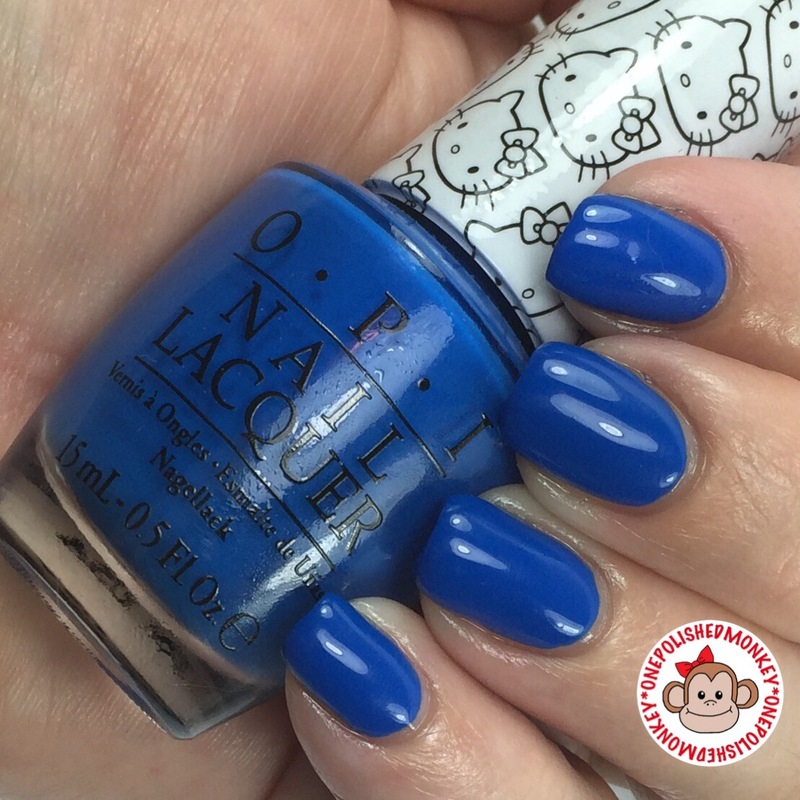 So, if you are in the market for a perfect blue creme polish this is one I definitely recommend.